A long time ago in the city of Kursk, Russia, there happened to live a young successful woman, a former schoolteacher and a university professor, an organizer of creative extracurricular activities for college students, a daughter of a doctor, a wife and a mother, who… never heard the name of Korczak. Yes, that was me a few decades ago, and I confess I was a complete Korczak dummy. But fortunately, the situation radically changed in early 1992 when I received a phone call from my senior Moscow colleague Irina Demakova with the offer to participate in the International Korczak conference in Suzdal, a historic Russian city, close to the national capital. I agreed wholeheartedly, not knowing what fate would bring me. This is how I first heard of and met Korczak and korczakians, and the memories of that meeting will remain with me forever. The conference was more than just a cultural and intellectual shock and an eye-opener; it was an opportunity for me to get acquainted with a number of outstanding educators, psychologists, social workers, and public activists from all over the world. Since I could speak and translate from foreign languages, Olga Medvedeva, a prominent researcher of Korczak’s literary heritage and a founder of the Russian Korczak association, approached me with the request to interpret a few presentations. It introduced me to Vladimir Halperin, the late legendary leader of Swiss Korczakians, a few Dutch representatives including their current Korczak president Theo Cappon, Frank and Rose Schmidt from France, to name just a few. The conference granted me with long-term friendships with such Russian researchers as Professors Demakova, Klarina, Valeeva, the latter being President of the Russian Korczak Society today. Since that time Korczak has remained a big part of my professional and private life. His ideas have become a basis for many of my presentations, lectures, and seminars, and his books still occupy a central place on my desk and bookshelves. Korczak also allowed me to see the world while participating in international conferences in Austria, Israel, Poland, Switzerland, etc. But most importantly, Korczak became a genuine magnet for my students – future teachers from Kursk State University who carefully studied his ideas and translated them into numerous educational activities in children’s hospitals, summer camps, orphanages, boarding schools, etc. Of course, our charitable work at the hematological hospital department that treated young patients with blood cancer was most important. Although some of the children were terminally ill, my students helped them (as Korczak would), to fully enjoy life regardless of their grave diagnosis. Laughter, songs, guitar playing, dances, jokes, story telling, and the overall festive atmosphere which the students would create once or twice a week produced a great positive impact on hundreds of sick children over twenty years. This we heard from their grateful parents and could read in the eyes of the children themselves. Every national holiday, especially such important ones as the New Year’s Eve, Women’s Day, and May Day students would not only perform short plays but also bring gifts to the children. For over a decade the Swiss Association of Friends of Dr. Korczak helped us with funds to provide weekly music classes and fresh fruit. Truly, there is plenty to remember and be grateful. For example, in the mid-1990s together with teenage groups from two Dutch high schools for students with disabilities in Haarlem and Hilversum we fulfilled another incredible project, which was again inspired by Korczak’s ideas. Thus, Dutch young people volunteered their time and efforts, raised enough funds for traveling and purchasing all the necessary tools, paints, and other materials, visited Kursk, and in a short period of time fully remodeled fourteen children’s hospital rooms. The cultural shock was strong on both sides. Another shock experienced by my students-activists happened when they received an opportunity to participate in international conferences in other countries during the early Perestroika time when visits abroad were still rare. A symbol of humanism and sacrifice who managed to provide joy and sustain the lives of 200 Jewish children in the Warsaw ghetto until they eventually perished together in Treblinka gas chambers. An incredible example of a search for one’s national identity and spiritual insight. A bright writer whose books for children are full of wisdom and wit. A thoughtful and forgiving person open to find the best in everyone. A natural psychologist and a talented educator. An originator of the first constitution of children’s rights. A creator of different ways to involve children into participation in school life. A master of dialogue and a reflective practitioner able to learn from children. A powerful teacher of teachers and parents. I’ve been reading the Janusz Korczak book this morning and can’t thank you enough for introducing me to this amazing man and his work. I totally agree with Sandra Joseph, the editor, who noted in the preface that his “insights and simple truths concerning children are as fresh and valuable today as they were then.” His words capture so well my own philosophy reflected in much of my work with young people. I plan to share this book and some of his other works … with friends and colleagues (From personal correspondence with M.C.). Tatyana V. Tsyrlina-Spady is a founder and Editor-in-Chief of the Russian-American Education Forum: an electronic journal (www. rus-ameeduforum.com). She is also Adjunct Professor at the School of Education, Seattle Pacific University, Seattle, WA, teaching Comparative Education. 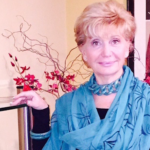 She is a Board member of the Janusz Korczak Association of the USA and can be reached at: tsyrlina@aol.com.